While people are told time and time again not to judge a book by it’s cover, they do it anyway. This is partly the reason why great establishments fail. Many business owners do not have an eye for commercial interior design in Fort Lauderdale and that is perfectly acceptable. Business owners should leave the eye-catching interior design to the professionals while they focus on running their business. Anyone who has ever been to Fort Lauderdale understands that businesses need to look a certain way in order to attract customers. This goes for restaurants, clubs, hotels, etc. Hiring Chelsea Designs­™ will give businesses a leg up on their competition. A fantastic company that lacks creativity in it’s design might fall far below the competition without the right help. The main job of a commercial interior designer is to make a business look amazing while maintaining their functionality. A commercial interior designer will start with architectural plans, choose color schemes, track down the perfect furniture and light fixtures, and create the most lovely looking interior of a business possible. Just like business owners, interior designers are experts in their field. 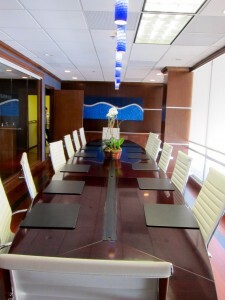 Chelsea Designs™ possesses the creativity and forethought to design a space that will work for any commercial company. Chelsea Designs™ is a Top Rated Local­­® interior design company in Miami and Fort Lauderdale, Florida. We have spent years helping residential and commercial clients with all of their design needs. We take all of our clients ideas and architectural designs into consideration before we lay out a commercial design plan. Our clients will no longer have to stress about the design of their company when they partner with Chelsea Designs™.